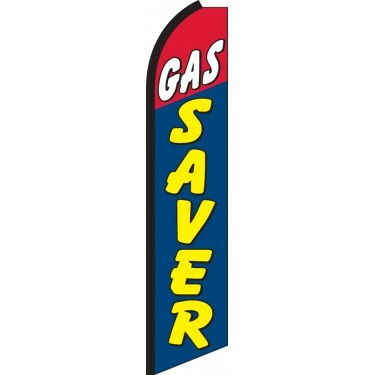 Our Gas Saver Swooper Feather Flag features "Gas" emblazoned in white text upon a red background on the top part of the flag, with "Saver" written in bold yellow letters, set upon a blue background on the lower part of the flag. This flag is ideal for car dealerships who want to advertise the fuel efficiency of their vehicles. The flag can be used to highlight a particular vehicle or promote an entire car lot of vehicles that are environmentally friendly and cost-effective to operate. 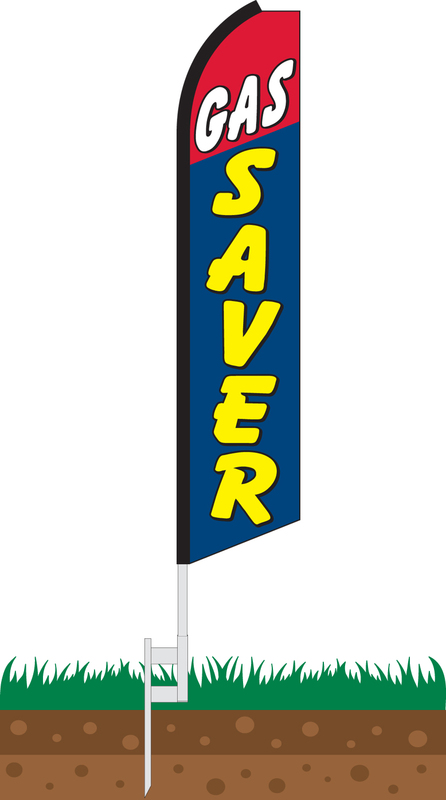 If you wish to attract customers seeking fuel-efficient vehicles, this is the perfect flag for you.